When the Oxford English Dictionary defined perfect they clearly had this exhibition in mind. From the pieces, to who’s on show, to the fabulous assembling of the collection, this latest offering from the RA doesn’t just delight, it excites and gets you re-thinking the decorating at home. I struggled to even leave the first room because of its eye-popping pleasures, and there are approximately thirteen rooms exhibiting, so I’m not downplaying the value of your investment in a ticket. Even if you don’t think this is your thing…it’s your thing. It’s huge, happy and educationally perfect. 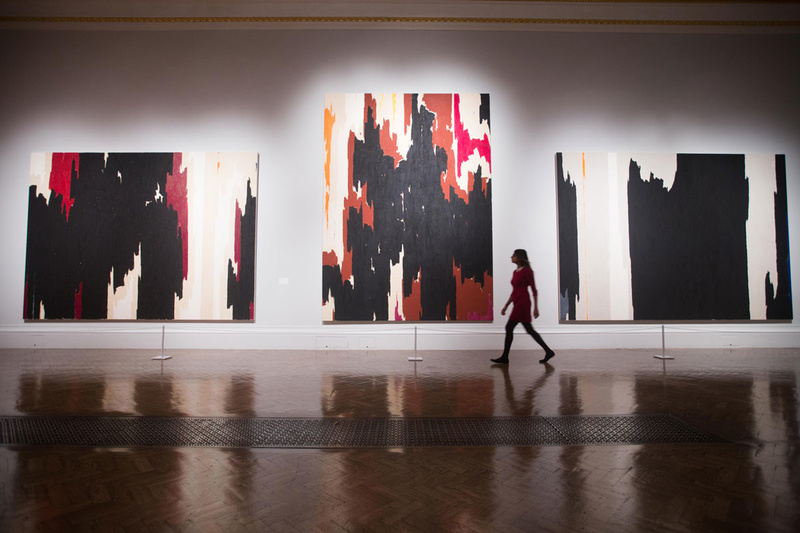 Educational you ask…well, I was familiar with Pollock and de Kooning but wasn’t acquainted with Clyfford Still, but WOW spend just four minutes with his work, (though I’d suggest at least ten), and you get the drift. He’s talented too and perhaps you’ll make a note to google him later and if you are anything like me, you’ll also think seriously about moving in and turning Room 11 into your new, better living room. 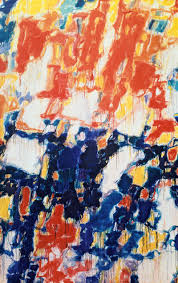 Oh and Sam Francis, another chap I wasn’t aware of and upon arriving in Room 4, I was considering taking-out a couple of floors at home just so I could re-home Untitled, painted in 1956. Not only will you experience room enjoyment, you’ll also marvel at the way that you can glimpse through the rooms and spy masterpieces, making the impact bonus-fold. For you can absorb a magnificent Rothko, look to your left beyond Rothko room and see another equally talented artist and this somehow breaks it up, anchors you and also provides with a fix (all simultaneously), enabling you to return and admire Rothko for a little longer. There are just so many pieces I could rave on about…or steal, but it’s probably best I leave you with a treasure hunt instead. Head to the exhibition and find The Hero, a sculpture by David Smith and imagine where it would fit best in your home (or garden). Check out Pollock and find the pieces that look a little ‘Pollock Dreaming’. 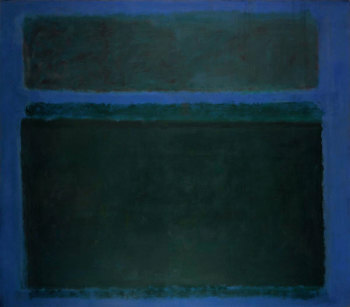 And find the Rothko in the first room.